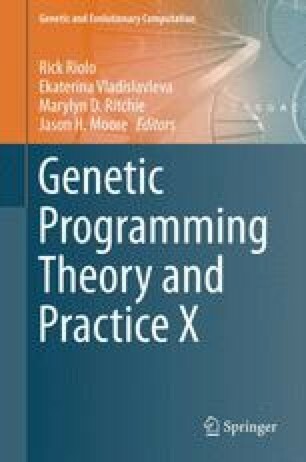 We describe a new Genetic Programming systemnamed EC-Star. It is supported by an open infrastructure, commercial-volunteer-client parallelization framework. The framework enables robust and massive-scale evolution and motivates the hub and spoke network topology of EC-Star’s distributed GP model. In this model an Evolution Coordinator occupies the hub and an Evolutionary Engine occupies each spoke. The Evolution Coordinator uses a layered framework to dispatch high performing, partially evaluated candidate solutions for additional fitness-case exposure, genetic mixing, and evolution to its Evolutionary Engines. It operates asynchronously with each Evolutionary Engine and never blocks waiting for results from an Evolutionary Engine. The authors acknowledge the generous support of the Li Ka Shing Foundation as well as Kaivan Kamali and Hormoz Shahrzad of Genetic Finance and Kalyan Veeramachaneni of MIT.